Getting There (transit): Take HSR #52 to Cootes at Dundas Street. Trail is right at curve off Dundas Street. Getting There (car): Can park across from Canadian Tire, right next to the trail. Species of Note: The usual Mallards, plus a plethora of nuthatches. Obscurity Rating: 0/5 - Well known, well signed, frequently daily by many. Tuesdays are usually long days for me, and this one was no exception. 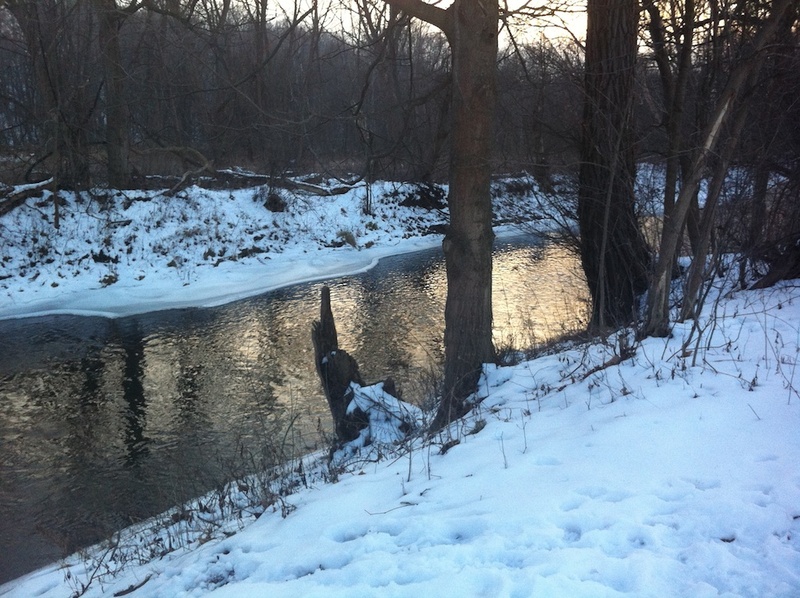 A walk along Spencer Creek Trail is a nice simple zero-difficulty trail for a day like this. Like the trails that run off of the former South Quay, this trail is part of a former "North Quay" street that briefly ran alongside Spencer Creek, after the creek was straightened for whatever purpose (check old maps, Spencer Creek was not this straight in the 1890s). Its a lot like a rail trail now, very flat and no sharp turns. While in the winter the bird species list seems to be rather standard songbird fare, in the summer it's not hard to catch a glimpse of Great Blue Herons fishing in the creek, or to see a flock of Black-crowned Night Herons perched up in the trees. 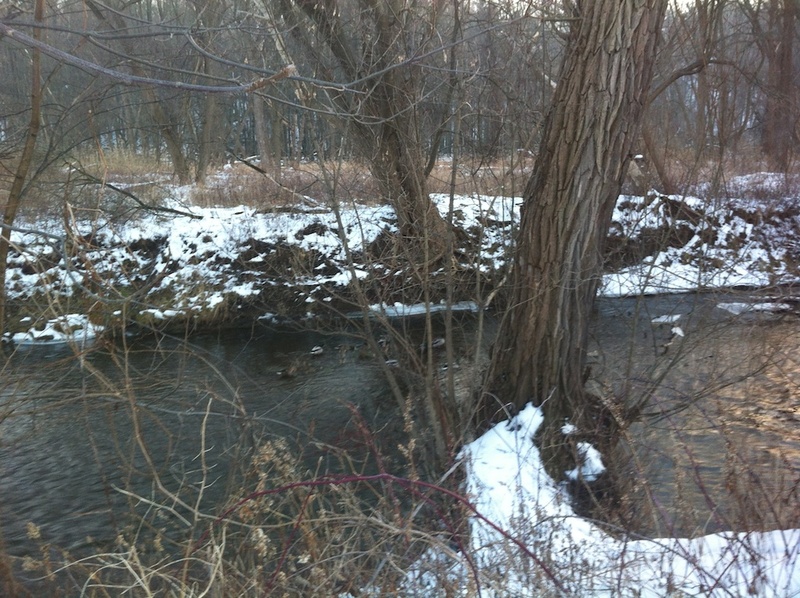 Also, it's pretty easy to see the fish, as the creek is rather shallow. The trails extends from Dundas Street all the way to the bridge on Cootes Drive, then another trail actually continues on the other side of the expressway. Also, a pathway running alongside the expressway could also be walked to form a loop. Today, however, I took it slow and walked about halfway to the bridge and back, having spent a fair amount of time watching the nuthatches and Downy Woodpeckers tirelessly pecking at the trees.